In recent weeks, we have had a few customers who have gone through the trying experience of having their car overheat. Unfortunately, they didn’t all have the same positive outcome from their experience, but they each wanted to know the reason their car overheated and how they could avoid it in the future. We’ll share with you the information we passed on to them. One of the main reasons for a car to overheat is a lack of coolant in the car’s cooling system. This happens when there is a leak somewhere in the system and the coolant is escaping or if fresh coolant hasn’t been put in the radiator. Cooling systems are often neglected. If your coolant isn’t changed, the hoses and passages get dirt and sludge built up in them and the coolant can’t flow rapidly enough to cool the engine. 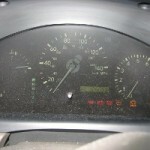 Keep your eye on your car’s temperature gauge. If there is a possibility of your car overheating, the needle on the temperature gauge will move toward the “H” (for hot) to alert you to what is happening. 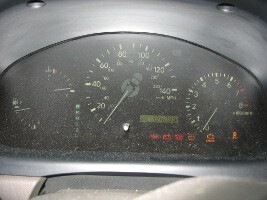 Another common reason for a car to overheat is a thermostat that is stuck. The thermostat can freeze or stick in the closed position which blocks the coolant from flowing to your engine. There are several other reasons for a car to overheat, such as a damaged water pump or cooling fan or possibly a clogged radiator. These are all things that should be looked at and diagnosed by a professional mechanic and not something that you should try to figure out on your own. But no matter what is causing your car to overheat, the most important thing to remember is don’t continue to drive the car! Overheating can cause thousands of dollars worth of damage! If you experience any of the signs your car is overheating, the temperature gauge is high, or there is steam and/or a burning smell coming from the engine, pull over as soon as possible and turn the car off! Call a tow truck but don’t drive the car when it’s overheating! By putting yourself through some slight inconvenience now, you can avoid major inconveniences and costly repairs later. Thanks for helping me understand that there are various reasons for a car to have an issue that is why it would be best to hire a professional to check it out for you to assess accurately. I will follow your advice and take my car to an auto shop already. It happened this afternoon when I was parking my car inside the garage when the smoke came out of the hood. Luckily, I am already on my property.